​I am an experienced counselor/ therapist with a first hand knowledge of a wide variety of issues, problems and situations. I am excellent in communication, warm, relational, non-judgmental and direct. ​I work to hear the issues you are seeking help with. I do not use "psychobabble." I focus on the "here and now" issues you bring and we will explore what has brought you to this place, what you can do and/or what you can be. When we first meet we will make sure I am the best type of therapist for your concern. I focus on a person's/couple's strengths, not their weaknesses. I do not hesitate to be direct; however, I am welcoming and sensitive to diversity - particularly in faith and spiritual beliefs; race; sexuality; life history choices and family of origin experiences. I wish to create a safe place for you. I bring a diverse set of skills and experience. I remember what it was like to first seek a counselor. You have to be very brave. I am very proud to work with the people I do. They are all seeking to be stronger and wiser in their living. I also provide Clinical Supervision for Master's level clinicians who are seeking a professional license as a Counselor. ​Are you haunted by past events, consumed by fear, pain, guilt or sadness? I have helped others like you end suffering and overcome fears, finally putting their pasts behind them. EMDR (Eye Movement Desensitization and Reprocessing) is the leading therapy for healing trauma and PTSD more quickly. I am experienced with grief/loss, panic and anxiety disorders, phobias, depression and low self esteem. I have worked extensively with LGBTQI and Gender Identity issues, and I help transgender people through the transitioning process. I am open-minded and accepting of all lifestyles and welcome folks from any spiritual belief system, sexual orientations, colors, shapes and sizes. Nationally Certified, Licensed Professional Counselor in North Fulton area of Metro-Atlanta. 16 years of diverse experience; 10 in community mental health and 6 in private practice. Trained and experienced in trauma work. Skilled with mood and anxiety issues. Individuals and couples. LGBTQIQ population, Gender Identity, transgender and transitioning issues. ​I view therapy as an opportunity to develop healthy relationships where you can grow and explore new opportunities without judgement. I offer individual, relationship and family counseling services for adolescents and adults. My preference is to keep therapy "label-free", so that we can collaborate on making real progress on the issues standing between you and the life you desire. Labels can be limiting and my goal is to expand the possibilities for each person, relationship, and family that desires healthier ways of being. When we meet, I will take the time to get to know what makes you and your situation unique and together we'll decide what direction therapy will take. 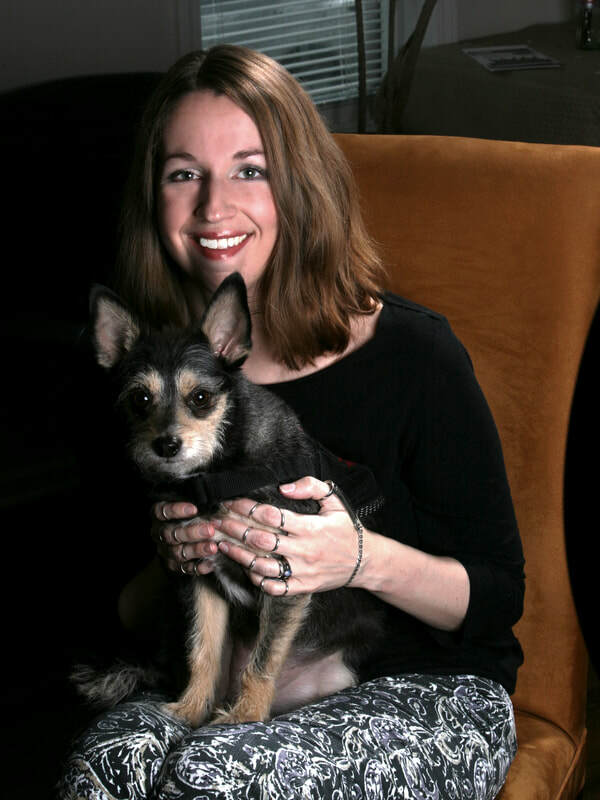 My space is informal and friendly (I'm a jeans and t-shirt kind of therapist), with a four-legged friend to greet you (learn about Ollie in the About Me section). It is my honor to work with a diverse clientele (i.e. ethnicity, gender, sexuality, spirituality, LGBTIQ, etc). I have specialized training in gender and sexuality issues via AASECT and am kink-aware/friendly. ​Are you struggling with an issue or a problem? Do you feel as if your life is out of your control? Does it feel like you are in a rut and going nowhere? Do you feel stuck?? ​I offer individual and couples counseling aimed at helping to create a more fulfilled, happier life. In therapy, I provide a place to explore, discuss and practice new ways of thinking about yourself, your partner and your life. As my client, you will experience personal and spiritual growth. You will increase your self-awareness, gain self-confidence and be empowered to make changes that positively impact your relationships, career, finances, health and ultimately your life. As a psychotherapist and life coach, in addition to my professional training, I bring my numerous and varied life experiences, a unique perspective born from my Jamaican heritage and my open heart. I am a Certified Anger Management Specialist and am open to members of the LGBTQIQ and Polyamorous Communities and am 'Kink-Friendly'. I work with Gender Identity issues and assist transgender people through their transitioning process. I also work with, among other things - Communication, Relationships and Intimacy, Spirituality and Workplace Identity. ​I am passionate about providing a safe space for exploring fear, pain, sadness, conflict, stress, and/or confusion. I want to understand you even if you don't. If you have sought therapy before - give it a try again. I want to help you create the best life possible. I am naturally empathic and have a warm, friendly disposition. I truly believe that we all have the power to change the world with our passion, our dreams, and our smiling faces. I primarily use Acceptance and Commitment Therapy and Bowen Family Systems Theory to help dissipate painful emotions and partner with you to create your life. I see individuals, couples, poly units and families to find their innate potential and achieve their dreams, regardless of gender, orientation, race, religion, or love-style. I particularly love helping people considering and exploring ethical non-monogamy (swinging, polyamory) navigate the choppy waters of uncharted territory in their relationships. Because I am so passionate about this work, I facilitate a free polyamory support group for anyone in or considering polyamorous relationships. More details are available here: Poly Support Group [link to poly support group page]. ​I am particularly knowledgeable and experienced in working with transgender and gender-nonconforming individuals as well as anyone that may be questioning their gender identity. Since I am personally a part of this community, I have found that I have the potential to offer a perspective that many other gender therapists do not possess. I have had the pleasure of working with transgender and gender-nonconforming individuals from as young as school-aged into older adulthood. I also have a particular passion for working with LGBTQIA+ individuals at all walks of life. I am sensitive to intersectionality and specific problems that may arise due to this within this population. In addition, I am also kink and poly friendly. ​In my work with clients, I provide a non-judgemental, protected space that allows you to process your thoughts and emotions. I prefer to utilize a combination of traditional talk therapy with creative therapy in order to allow for a different type of expression in session. It is also my belief that humor and laughter have a presence and purpose within the therapeutic process. ​I believe that everybody has the right to live a fulfilling life, and that everybody deserves access to quality mental healthcare. My goal is to facilitate growth, healing, and the development and maintenance of authentic and loving relationships. I believe that the therapeutic relationship is the primary vehicle for change and growth. I use a client-centered and strength-based approach. I am committed to creating an environment in which you can feel safe, heard, and understood. I believe that you are the expert of your own life, and that my role is to hold space for you and facilitate the discovery of your own strengths. ​I am a Pre-Licensed Professional Counselor under the Supervision of Tom Query. Emotional intimacy is one of the most rewarding experiences we can share. Nothing else compares to the experience of sharing our most intimate thoughts and feelings with another person, allowing ourselves to be vulnerable, deeply seen and known, sharing love, passion, laughter and joy. I specialize in guiding clients on their journey to improve intimacy, sexuality, and conflict resolution. I help my clients develop self-awareness, improve communication and manage conflict. Sexual arousal and response is a natural and essential part of life and are key elements of a healthy emotional life for many people. My goal is to help you create genuine intimacy in your relationship, which comes from developing a deep commitment with oneself and one's partner. I provide my clients with a warm, nonjudgmental environment that creates the safety to explore and experience mutual kindness, compassion, presence, and integrity. My greatest reward is helping people explore ways to make the changes in their lives that will allow them to look forward to the future with hope. If you feel you are ready to commit to bringing about positive change in your life, contact me! ​I am an LCSW, in private practice, in Alpharetta. I provide individual psychotherapy to young adults and adults, both in-person and via telemental health. My specialty areas include substance abuse and recovery, anxiety, depression, childhood issues, and parenting education. I am a poly/kink friendly therapist and an LGBTQ+ Ally. My treatment approach is eclectic, holistic, and humanistic; it is based on the individual's needs and goals. I have training in Acceptance and Commitment Therapy (ACT), Cognitive Behavioral Therapy (CBT), Motivational Interviewing, Solution Focused therapy, Nutrition & Integrative methods, Mindfulness, and Addiction treatment. I am frequently attending workshops, seminars, or reading articles and books so I can continue to learn and grow. I am non-judgmental, sensitive, warm, loving, friendly, and funny, and I bring these qualities into my practice. I often refer people to outside resources, books, apps, videos, support groups, websites. I believe that all people can learn, grow, and heal... if you have a safe space to do so and you work at it!